In our house we make sure to leave any recently lost teeth in a Ziploc bag under our pillow so that the Tooth Fairy can easily find them, but this tooth fairy pillow from Gluesticks is much cuter than a Ziploc bag. The Tooth Fairy might even leave you something extra special if you have a pillow as cute as this one. You can check out Brandy's tutorial for this sweet Tooth Fairy Pillow HERE. Hi Lorie! 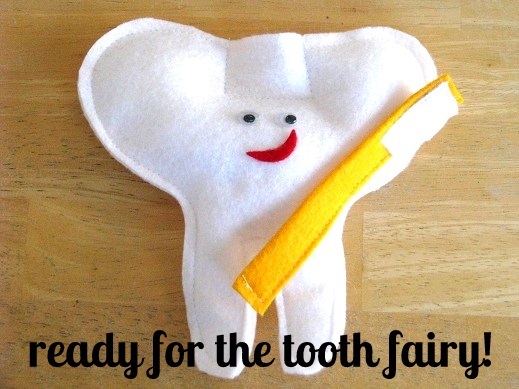 Thanks for sharing our fun little tooth pillow! !